The recent battles over religious liberty in Indiana and Arkansas demonstrate an ironic truth: that we are actually debating whether or not you can be forced to violate your faith in a country originally settled by people looking for the freedom to practice their faith. The hysteria was truly something to behold. Liberals descended on Indiana and its politicians like flying monkeys from The Wizard of Oz. Protesters stormed the state capital. Reporters ambushed flat-footed politicians and business owners. Corporations pontificated. Democrats huffed and puffed. Social media melted. 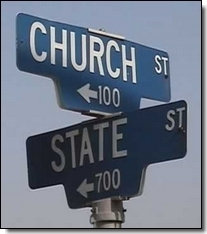 The source of all the fuss was passage of state-level versions of the federal Religious Freedom Restoration Act, simply mandating that government must have a “compelling interest” to infringe on religion (a higher legal standard), and that it must use the “least restrictive” means possible whenever it does. The federal version was probably the most bi-partisan, (nearly) unanimously passed law in modern American history (435-0 in the House and 97-3 in the Senate) and signed by Bill Clinton no less in 1993. Congress can’t generate that much bipartisan support for a resolution declaring water to be wet, but there it is, in all of its “hate mongering” glory. As usual, the liberal hypocrisy was delicious. Democrat Governor Dan Malloy of Connecticut jumped to criticize and join a “boycott Indiana” movement despite having the same law in his own state. Many of the corporations who jeered the loudest do business in countries that not only lack religious freedom, but where women and homosexuals have NO rights whatsoever. Of course the media knew this, but chose to ignore it. Scalps had to be taken. The forces of “tolerance” now demand that government enforce their views on everyone else, and they eagerly engage in the public-relations lynching of anyone who disagrees. They have no “tolerance” for unconformity. Christian businesses are being sought out for legal retribution. Employees and even CEOs have lost their jobs simply because they contributed to referendums calling for the traditional definition of marriage. Individual supporters have even had their home addresses posted online to make organized harassment even easier. Sound familiar? They’re working to isolate religious conservatives – particularly evangelical Christians – and marginalize them and make them toxic to others in order to chill public advocacy and philanthropy on their behalf. To make it difficult for them to live their faith and openly operate in polite society or even earn a living. You really have to wonder when Democrat leaders will get a little worried about their minions taking this whole anti-religion thing too far, considering the fact that religious Americans have been leaving their party for years (most recently including white Catholics). But if the party whose national delegates booed having a reference to God in their platform in 2012 wants to officially become the anti-religion party, Republicans should help them by reminding pro-faith Americans every chance they get. The point is that religious liberty is an incredible political opportunity for Republicans, if we will learn how to make the most of it. Lesson one is to know how to talk about the issue. And lesson two is to actually talk about it. Often. We need to recognize that liberals have won their major political battles by turning someone into a victim and winning the sympathy of Americans in the political mushy-middle. The media pounces, businesses cringe and politicians cave. It’s a familiar pattern. But now we have the opportunity to turn the tables and use the same tactic to great effect by framing the debate around our own victims. Republicans should remember that polls show a clear majority (over 70% in the latest Rasmussen poll) favoring the rights of Christian business people to live out their faith in the course of their business and not be made to choose between their faith and their livelihood. They should remember that tens of thousands of Americans responded with over $840,000 in less than 48 hours for a small pizzeria when it was threatened by the liberal grievance machine. How many politicians who trip over themselves to chase donors are paying attention? They should remember that religious conservatives are their most loyal supporters, and that the estimated forty to fifty million unregistered and/or nonvoting evangelicals on the sidelines are the largest untapped reservoir in American politics. But they have to be engaged on an emotional level. Elections are about math. They’re about addition and the leverage (or multiplication) you get when your base is fully engaged and truly energized. In 2008 and 2012 that wasn’t the case. The opportunity for Republicans in 2016 is clear. 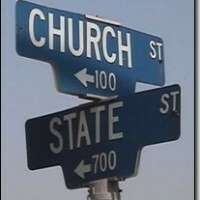 If religious liberty isn’t a political hill for Republicans to fight and win on, then no such hill exists. Let’s be clear, for people of faith, “religious liberty” is quickly becoming the “OK, take the culture and the country and just leave me alone” position. It’s the last stand. There’s really nothing else to lose after that. It’s the terms of our surrender in the culture war. The place where we hope to make a stand and then grow and regroup for the future. In a way, it’s kind of the same position that the original American pilgrims had. They gave up trying to live their faith at home, so they left home and came here. And several hundred years later, here we are, but with no “new world” to go to. The other side will never accommodate. It’s time to fight or else.